How to Apply for APSPDCL AEE Posts Recruitment 2019, Submit Online application forms till April 25: APSPDCL issued the AEE Assistant Executive Engineers Recruitment 2019 notification and Applications are invited On-line through APSPDCL Website http://apspdcl.cgg.gov.in from 26.03.2019 to 25.04.2019 (to 24.04.2019 for payment of fees) from eligible Engineering Graduates for filling up the following vacancies on regular basis in APSPDCL Engineering Service. After Payment of a fee, the applicant has to visit the website http://apspdcl.cgg.gov.in and access the online application form. 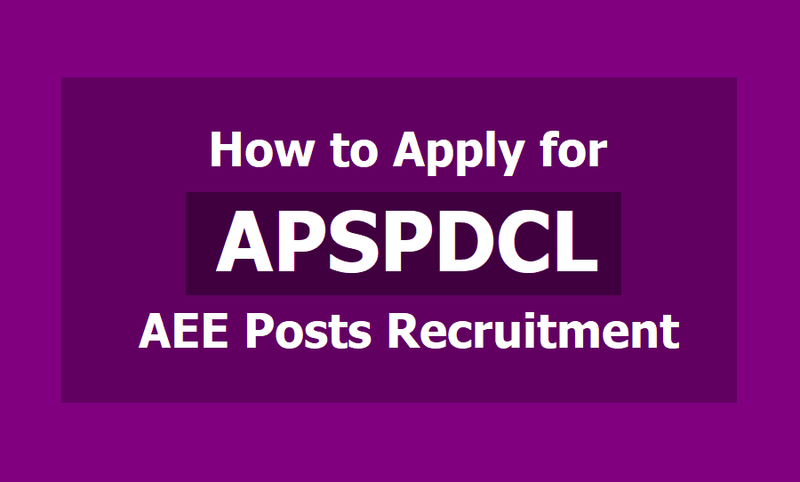 APSPDCL can provide a link to this website on APSPDCL website. The applicant has to provide details of JOURNAL NUMBER given on the payment receipt to access the application form. The candidate has to fill all the relevant details and upload “scanned copy of passport photo with signature below the photo” and submit to the system. ON successful submission system will alert the applicant to download the pdf document containing the details submitted by the applicant with unique application number (Reference ID) as the acknowledgment.